His name is Shirley Anderson, in 1998 he was diagnosed with tongue cancer which had to undergo several treatments that included radiation, this meant that a couple of years ago Mr. Anderson was free of cancer, unfortunately the cost of the radiation was having lost the lower part of his jaw. This led him to try with implants experimental but none helped replace his lower jaw, until he finally went with a maxillofacial physician who will design a prosthesis in clay, which was very heavy and could be used only for four hours, fortunately the doctor would not give up and investigated about a new technique that relies on 3D printing. 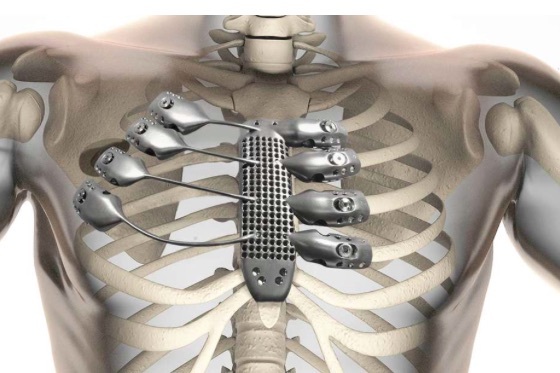 Certainly medicine is the discipline that more benefits He has found in 3D printing, as we have seen from bases and components for robotic prostheses, implants and to human tissue, demonstrating that this technology is maturing with very good results and acceptance by the medical community. The case of Mr Anderson is another example of the versatility and scope of 3D printing, since the doctor Travis Bellicchi Indiana University, had to change the traditional prosthesis of clay and experimenting with this new technique, that even now is known as the “Shirley technique” in honor to Mr Anderson. Situations was approached by the company Formlabs, specialist in design and 3D printing, where he found a solution that would help to create a prosthesis to fit the face of Mr Anderson. This is how Formlabs was commissioned to create a digital model of the face of the Lord, which had details of each bone to try materials that adapt perfectly to what they needed. The result was created custom silicone prosthesis, light and adapted to that color of skin and texture to make it as realistic as possible. This technique, which is originally based on a face prosthetics created in 2013, has been a success, what has caused that they are working on six new patients where the best of everything, is serving for a variety of prostheses, for example for ears and noses, which are obtained in a time record for six weeks and are priced less than half that cost a prosthesis of clay.